Three new Justices have been appointed to the UK Supreme Court and therefore will be eligible to sit as Judges in the Privy Council. This follows the retirement of Lord Mance in June, Lord Hughes in August and in anticipation of Lord Sumption's retirement in December. Lady Justice Arden was Judge in Charge, currently Head of International Judicial Relations for England and Wales. 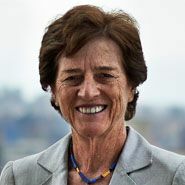 She became a member of the Permanent Court of Arbitration in the Hague in 2011 and is an ad hoc UK judge of the European Court of Human Rights in Strasbourg. Lord Justice Kitchin was appointed as a Lord Justice of Appeal in 2011. He was the Lord Justice responsible for the supervision of Intellectual Property appeals. He is the Chair of the Advisory Council of the Centre for Commercial Law Studies at Queen Mary University. 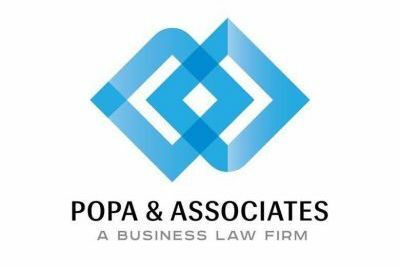 Popa & Associates Law Firm announces that on August 10, 2017 it lodged an application with the European Court of Human Rights (the “ECHR”) on behalf and in the interests of Mr Vlad Filat. The decision to apply to the ECHR was taken by Vlad Filat in the context of his unlawful conviction by Moldovan magistrates. The service yesterday of Notice under Article 50 of the Treaty of the European Union 2007 started a 2 year process leading to the UK’s exit from the EU, barring an agreement with the EU to extend this period. The Government has this afternoon published a White Paper on how it intends “Legislating for the United Kingdom’s withdrawal from the European Union”. They are proposing enacting the Great Repeal Bill which they hope will deliver a smooth transition for businesses and individuals to life in a post-Brexit UK whilst removing the UK from the EU and the authority of EU law. In Philip Hammond's first Autumn Statement, we await to see how he plans to shape the economy and tax system, whilst balancing the government's spending. Will this be a light touch statement or are we in for a raft of further changes? How will the changes impact individual taxpayers? In the run up to the Autumn Statement, Blake Morgan considers what we hope to see covered. Read more: Autumn Statement 2016: Will our wishes come true for private clients?